These photographs were on the roll of film that still lay, undeveloped, in Edwin’s Ensign Autorange camera when Olive let me have it in 1993. It had been in the camera since 1971 when Edwin died, unbeknownst to Olive. I processed the 22 year-old roll with great care and was astonished to find it contained usable images. 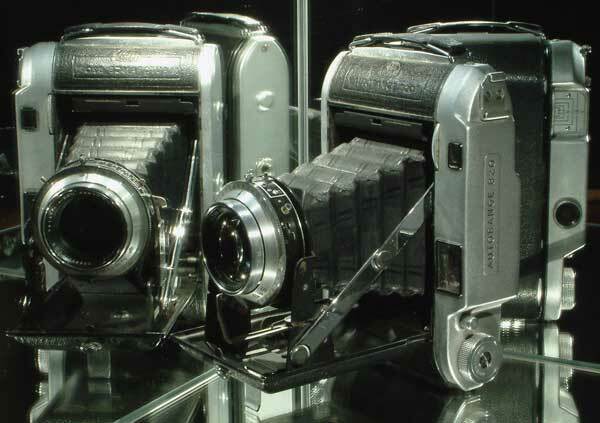 Edwin Smith’s Ensign Autorange camera. 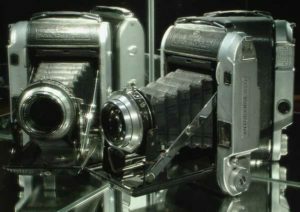 The film was Kodak Verichrome Pan 120 and had sat in the camera since the day these pictures were taken all those years ago. I phoned Kodak Ltd and sought their advice on development. I was advised to use increased amounts of anti-foggant in a standard D-76 formulation – and hope for the best! The latent images survived and were surprisingly clear, although the base fog level on the film had increased enormously. They are the last photographs ever taken by Edwin Smith as he became increasingly incapacitated by pancreatic cancer and died later that same year. He never saw them, except through his viewfinder at the time of exposure. This subject would have have been close to both Edwin’s and Olive’s hearts as both were dedicated ‘environmentalists’ before the term was even invented. 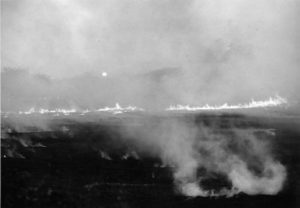 Now banned in the UK, stubble-burning as a means of clearing fields post-harvest was endemic in the 70s and 80s and caused massive amounts of air pollution. Badly managed fires occasionally spread to adjoining land and in some cases property was destroyed. The last photograph taken by Edwin Smith, from the author’s collection. Edwin and Olive’s journey into Suffolk in the late summer of 1971 was to visit the house and garden of old friends for whom he had designed this characteristic garden feature – a gazebo temple, adjacent to a swimming pool. It was yet to be completed, two changing rooms were to be added, one on either side. 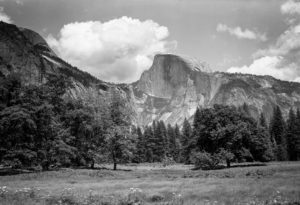 The photograph is an unpretentious record that combines two of his life-long passions – architecture and photography. 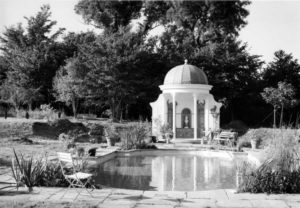 The Unwin’s pavilion, designed by Edwin Smith, photographed by John Ready around 2010. In 2013, at the time of the Edwin Smith exhibition at the Fry Gallery Saffron Walden, I donated the old prints for display. Someone came forward with a photograph of the completed pavilion as it looked at that time. Edwin never saw his design completed and would be thrilled to know it is still standing and looked after today. 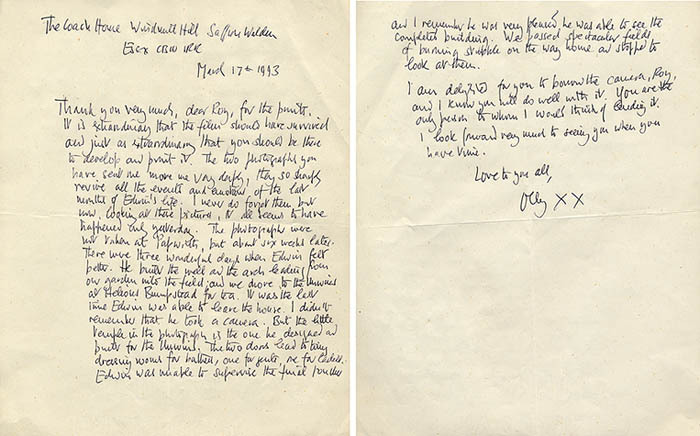 Olive’s letter to me in response to seeing these photographs, 1993. 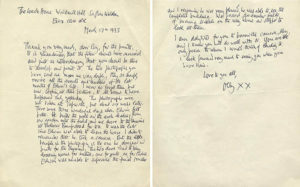 Thank you very much, dear Roy, for the prints. It is extraordinary that the film should have survived and just as extraordinary that you should have been there to develop and print it. The two photographs you have sent me move me very deeply, they so sharply revive all the events and emotions of the last months of Edwin’s life. I never do forget them but now, looking at these pictures, it all seems to have happened only yesterday. The photographs were not taken at Papworth, but about six weeks later. There were three wonderful days when Edwin felt better. He built the well and the arch leading from our garden into the field; and we drove to the Unwins at Helions Bumpstead for tea. It was the last time Edwin was able to leave the house. I didn’t remember that he took a camera, but the little temple in the photograph is the one he designed and built for the Unwins. 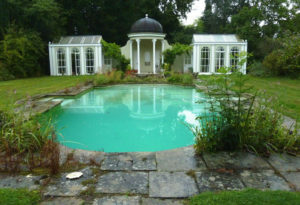 The two doors lead to tiny dressing rooms for bathers, one for gents, one for ladies. Edwin was unable to supervise the final touches and I remember he was very pleased he was able to see the completed building. We passed spectacular fields of burning stubble on the way home and stopped to look at them. I am delighted for you to borrow the camera, Roy, and I know you will do well with it. You are the only person to whom I would think of lending it. I look forward very much to seeing you when you have time. I have always felt extremely privileged to become the owner of Edwin’s last-used camera following Olive’s death in 2002. I have had it restored to perfect working order and still use it today. It has travelled to the US with me and below is an example of the quality it is capable of.